Are you thinking about redecorating your house? Getting the right paint shades for your walls is an essential part of the process. Choosing a colour scheme can be tricky in any case, but dimly-lit rooms are particularly difficult. How do you make a dark and gloomy room look brighter? In this article, we’ll tell you how. Avoid White and Off-White – There was a time when white paint was widely-used to make homes appear sleek and minimalistic. However, trends have since moved on. Plus, while white walls can make a room appear larger, it’s not so effective at making them look brighter. This is because white looks best when it reflects light. In rooms that have a lack of sufficient natural light, the effect is lost. No Pastel Colours – Like white, pastel paints don’t look their best in dimly-lit rooms. They require sunlight to bring the best out of their shades. Without enough light to complement them, they’ll simply appear greyish and drab in the shadows. Choose Rich Tones – You can’t create natural light in a room where it simply doesn’t exist. A light shade of paint won’t get the job done. Instead, embrace the room for what it is and choose a shade that truly compliments it. Choose deep, rich tones that will stand out in the shade, and the room will come alive. Try a Neutral Grey – Grey has become a hot new trend for interior design in Vaughan. When used correctly, it can create a neutral, elegant look that is easily accentuated with black or white furnishings and accessories. Warm Orange – Orange is often associated with outdated, retro designs that would generally be considered ugly by today’s standards. However, it’s much more versatile than that. A strong shade of orange can add warmth and depth to a room. It works well when paired with white woodwork, linen or furniture in a bedroom or living room. In a kitchen, it can also look great against grey and black kitchenware. Use an Accent Wall – An accent wall can add a splash of colour without being too overwhelming. If you’re looking to create an interesting and modern look without taking over the entire room, this is a great choice. Choose the placement of your accent wall depending on where the light hits in order to get the most out of it. If you’re having trouble choosing the right colours yourself, don’t worry. Instead of agonizing over different shades and constantly looking through swatches, get a professional opinion from an interior designer in Vaughan. At Bright Ideas, we offer a colour consulting service. We understand how different shades look under different lighting, and will help you bring the best out of your home with colours you’ll love. Colour specialists help homeowners choose colour schemes that reflect their style and personality while complementing the space. With their expertise, they can pick out subtle differences between shades, predicting the effects they’ll have on each room. In this article, we’ll tell you their top tips for colour selection. Consider the Kind of Look You Want – Before choosing a colour for a room, think about what kind of impression you want the room to give. Are you looking for something subtle and soothing, something rich and warm, or a sleek, classic look? Once you know this, a Vaughan colour specialist will be able to point you in the right direction from there. Choose the Focal Point of Each Room – In any room, think about where you want people’s attention to be drawn to first. If it’s the walls, start with a bold paint colour there. If it’s antique furniture, start with that and choose your colours around it. 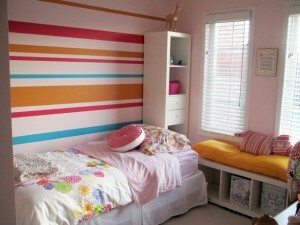 If you’d prefer, you can keep the walls neutral and use linens and carpets to add splashes or colour instead. Try, Try, and Try Again – Make sure you test your colours out before you make any final decisions. Colours will create different looks depending on where they’re placed and how much light is hitting them at different times of the day. That’s why it’s important to test them out. Buy a few tester colours to try out and see how you like them. Use a Theme Throughout the Home – Think about your home as a whole rather than just decorating individual rooms separately. This doesn’t mean that you need to use the same colour or design for every room. Instead, it just means that there should be a common theme. Think about how each room will transition to the next, and how they will complement each other. Don’t Choose Your Paint First – Choosing a paint colour may seem like the most obvious place to start. However, colour specialists in Vaughan generally advise against it. Consider all of the elements that you’d like to have in a room first. This will include fabrics, furnishings and accessories. Then, you can find a colour that works with all of those things. If you choose a paint colour first, your options are much more limited. You’re likely to have difficulty finding things to match that exact shade. Before embarking on a renovation or redecoration project, it’s best to consult a professional interior designer or colour specialist. When you’re choosing your colours, you want to create a look that will stay in trend for years to come. If you go it alone, you could end up making some expensive mistakes. A specialist will narrow down your options for you, guiding you through a selection of classy colour schemes that will make your home look great. Contact us for a consultation to get started today. When it comes to selecting the perfect colours for your home, the best way to make sure that you get it right first time is to consult an experienced professional. While you may already have a very good idea of the type of colour schemes you like and those that you would rather steer clear of, it is easy to make mistakes if you don’t do your homework beforehand. A reputable and talented consultant will help you to avoid the type of interior décor colour choices that can easily lead to disaster. Overall Cost – Many people assume they can save money by picking their own colour schemes and not paying a professional consultant but this approach often works out to be considerably more expensive. If you pick the wrong tones and have to redo some or all of the decorating work, you will end up spending far more on labour and materials than if you had hired a professional to ensure that you got it right in the first place. Unpredictable Results with Paint – One of the reasons the results may not match your expectations when taking a DIY approach is because the colour of the paints you choose may not match the paint chips you studied in the local stores once applied to the walls of your home. Our interior decorator colour specialist in Vaughan advises trying out all new paints on a discreet part of the walls you wish to redecorate: different types of plaster absorb paint in different ways, producing unpredictable results in many cases. Too Much Choice – One of the biggest problems faced by homeowners who would like to decorate their own properties these days is the sheer choice of colours available. To make it even worse, you can have custom paint tones blended to your personal specifications, which means the choice is almost infinite. 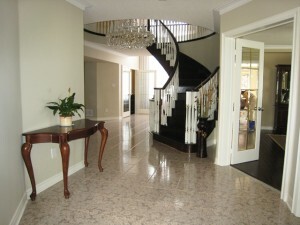 An interior decorator colour specialist in Vaughan who has spent years working with thousands of different colours in numerous properties across the region will not be intimidated by the selection on offer today and can guide you toward the tones that are most likely to suit you and your home. Time Constraints – If you have a set amount of time to finish your home redecorating or renovation project, hiring an interior decorator colour specialist in Vaughan will help you to avoid any unnecessary delays. By working with an experienced pro, you will be able to select the best colours for your home far more quickly than would otherwise be possible. Whether you are planning to redecorate your guest bedroom or every room in your home, please do not hesitate to call and ask our colour specialist for help: we would be absolutely delighted to help you with your next home improvement project. There are some interior decorating rules you should adhere to if you want to avoid making a complete mess of your next home renovation project but there are quite a few that it is fine to break if the occasion calls for it. The problem for most amateur painters and decorators is that they are not sure which rules it is safe to break and when it is safe to break them. After reading the advice below, condensed from a conversation with one of our in-house experts, we hope you will be in a better position to decide when you can deviate from received wisdom and when you should stick to the rules. The following rules can all be broken in the search for the perfect interior design, especially if you have the confidence and experience to go your own way. Never Mix Periods – Some interior design professionals, usually those of a more conservative bent, believe that it is wrong to mix periods and styles but unless you are trying to create a museum exhibit, there is nothing wrong in mixing Georgian with Victorian, or Art Deco with Minimalist design motifs, as long as it is tastefully done. Ceilings Should Always Be White – Whilst it is true that white has a number of advantages when it comes to ceiling paint, if you are creating a lush Moroccan interior and you fancy a deep red or even a glittery gold ceiling, you should go for it. Our interior designer in Vaughan believes that people need to trust their instincts when attempting to create more unusual interiors and not feel duty bound to follow conventional rules. Chairs and Tables Should Always Match – Cast your mind back a few years and you can probably recall numerous homes with matching dining tables and chairs and if you spend too long thinking about the effect this furniture had on you, you may be in danger of falling asleep! According to our interior designer in Vaughan, mixing different wood tones, or even different species of wood, is perfectly fine and normally results in a far more interesting interior. Bold Colours Only Work in Large Spaces – Lighter colours can help to make smaller spaces appear larger but if you would like to create the illusion of depth in a small room, combining darker, bold tones with lighter ones can work very well. Never Use Fake Plants – Real plants are undoubtedly preferable if you have the time to take care of them properly but if you have a busy professional and home life, good quality silk plants are an excellent alternative to the real thing that will never wilt and die due to neglect. If you are the sort of person that likes to break the rules but you do not have the necessary experience to do so with confidence when it comes to home décor themes, feel free to consult our interior designer in Vaughan whenever you wish. If you have never consulted a colour consultant before, you may not know quite what to expect. Before you pick up the phone and make an appointment, we recommend that you read through this article. In it, you will find 6 things that every good consultant will want you to know before your first meeting – things that will help you to prepare beforehand so that you can make the most out of the professional advice for which you will be paying. Take the following information on board before you attend your first meeting and you will be able to take full advantage of the time you have with your colour expert in Toronto. Choosing Colours is a Collaborative Process – Whether you are redecorating your entire home or just one room, your consultant will involve you every step of the way. With their help, you will find it much easier to pick colour schemes and particular tones that are just right for you and your home. Your Consultant Will Want to See Examples of Colours That You Like – You don’t have to find a shirt or skirt in the exact tone you fancy painting your kitchen walls: you just need to have a few samples of colours that you like to hand, so that you are able to show them to your professional colour consultant in Toronto when you first meet. With a good idea of the type of colours you prefer, your consultant will find it much easier to help you pick palettes and schemes for your home. Professional Consultants Take a Long-Term View – One thing that stops some people from consulting a colour professional is a fear of being forced into using colours that are all the rage right now but which might look ridiculous in a few years’ time. Firstly an experienced professional colour consultant in Toronto will never try to force you to use any colour you are not happy with and secondly, the best ones will take a long-term view and help you to find tones that will look good for many years to come. Don’t Trust Paint Chips When Choosing Colours – Different materials absorb paint in different ways so never rely on an in-store paint chip when selecting colours: try the paint out in inconspicuous areas first. The More Effort You Put in The Better the Results – Don’t hold back during your initial consultation: make the effort to communicate your desires and preferences clearly and you will reap the rewards. Be Yourself – Stay true to yourself at all times and your consultant will find it much easier to work with you and steer you in the right direction. If you would like to talk to a professional colour consultant in Toronto today, please feel free to call us whenever convenient. We look forward to helping you make your home even more beautiful in the near future. One of the cheapest and most effective ways to make your home more attractive to prospective buyers is to give the interior a fresh coat of paint. By doing so you will make it look loved and well looked after, which any potential buyer is sure to appreciate. However, before you get out your paintbrushes and get down to work, it is important to spend a little time thinking about what colours you are going to use in each part of your home and how they will influence your chances of making a quick sale. Follow the suggestions below and hopefully you will be able to attract a willing buyer more quickly than would otherwise be possible. Avoid Very Strong Colours – While luminous green or vivid scarlet may tickle your fancy, such strong colours are just as likely to put prospective buyers off as they are to encourage them to make an offer. If you want to make sure that you do not inadvertently discourage people from making an offer on your home, it is best to avoid any colours that may provoke a strong reaction. 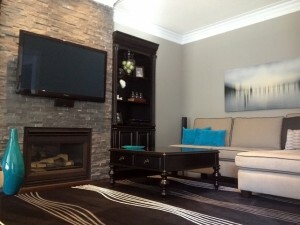 Just remember: your favourite colours are not necessarily the same as those that potential buyers will prefer. Use Neutral Tones in Main Reception Rooms and Hallways – Following on from the above suggestion to avoid strong colours, you should stick to neutral tones such as cream, pale yellow, and beige. While they may not be the perfect colours for all prospective buyers, they are unlikely to offend anyone either. As an experienced home colour consultant in Toronto, we can confirm that such colours are rarely considered objectionable by local residents. Avoid Dark Colours – You might think that blacks and greys count as neutral colours but they have been found to reduce the average sale price of homes in which they are used so it is best to avoid them if at all possible. Warm, light colours are more welcoming and will create a feeling of space in any rooms that are on the small side. Use Yellow in the Kitchen – A subtle shade, such as wheat yellow, is a great choice for kitchen walls and has been shown to increase the value of homes significantly. As your trustworthy and reliable home colour consultant in Toronto, you can take it from us that a yellow kitchen will prove to be a good selling point. It gives what is one of the most important rooms in the home (as far as many people are concerned) a very homely and welcoming feel. If you have the time and money to spare, painting the outside of your home is also a good idea: the exterior is the first thing that visitors will see when they arrive and could easily put them off if it is in poor condition. If you need any help choosing appropriate colours for either the inside or outside of your home, call the best home colour consultant in Toronto right now! While you are, of course, perfectly entitled to paint your home any colour you desire, there are certain colours that it might be worth giving a wide berth, especially if you have any plans to sell your property at some point in the future. Even if you are not going to sell your home any time soon or you are more than happy to repaint it before doing so, some colours are quite difficult to live with according to researchers. Consult any interior décor professional in the city and they are likely to give you the same advice as we are providing for free in the section below. Bright Yellow – Although subtle shades of yellow are known to appeal to many people, especially when used in kitchens, large expanses of bright yellow are not only likely to put prospective buyers off should you ever decide to sell your home, they will also prove to be an irritant to you while you are living there. The amount of light that bright colours such as this reflect can overstimulate the eyes and cause restlessness or even stress to those living in the immediate vicinity. Off-White – If you come for a personal paint colour consultation in Toronto with the purpose of preparing your home for a quick sale, you may be surprised to be told that off-white is one of the colours you should avoid. While it may be neutral and inoffensive, many people think that it makes small rooms look rather dingy, dull and lifeless. Terracotta – This may also come as a surprise to many but terracotta-painted walls have been shown to decrease the average sale price of the homes in which they are found. With this in mind, you might want to avoid this particular colour if you have any thoughts of moving in the near future. It might look warm and homely to you but that is not the opinion of the majority of buyers if the studies are to be believed. Book a paint colour consultation in Toronto to find out what colours you can use instead. Plain White – There was a time when all-white kitchens and hallways were thought to be very desirable but that time is now past. Apart from looking sterile and lifeless, white walls are difficult to keep looking clean, which makes them unappealing to live with for any length of time. If you would like to know what tones work well together and what is popular right now, call to make an appointment for a paint colour consultation in Toronto at your convenience. We look forward to helping you redecorate your home in the near future. When renovating a residential property, the main challenge that owners face is how to ensure the new interior design is both aesthetically pleasing and practical. For those that decide to go it alone and create their own designs for each room, this is a goal that can be almost impossible to achieve: often the resulting décors are either beautiful and impractical or very functional but visually unappealing. If you want to make sure that you do not fall short when faced with this challenge, enlisting the help of an interior design expert is probably your best option. if you live in Vaughan or nearby, we will be delighted to help you create a new décor for your home that is both beautiful and easy to live with. Whether you decide to work with us or not, the following points should help you to make the most of the services of your local design expert. Colours – One of the easiest mistakes to make when tackling a major redecoration or renovation project on your own is that of choosing colours that just won’t look very good in a few months’ time. You may, for example, think that pristine white walls are a good choice for the kitchen but every speck of grease and cooking oil will show up on pure white paint, which is why it really isn’t the best choice in any home where the kitchen must be functional as well as stylish. If you work with an experienced interior designer in Vaughan, they will be able to steer you away from bad colour choices and suggest alternatives that meet with your approval from both an aesthetic and functional perspective. Materials – A beautiful sheepskin rug in front of an open fire in your living room might sound very appealing but if you have young children in your household, the rug is not likely to stay looking beautiful for very long. This is another instance where your interior designer in Vaughan can be relied on to suggest appropriate alternatives that will fulfil your desire to create an attractive home while making it easier to maintain in excellent condition. The insight of an industry expert can be invaluable when making such choices as they are likely to be aware of gorgeous materials that may not have even crossed your mind yet. Layout – Creating a layout for each room in your home that is both practical and beautiful to behold is a task that could be exceedingly difficult for you to achieve without professional assistance. If you hire a skilled interior designer in Vaughan, they will be familiar with all the common pitfalls that are encountered when designing residential interiors and can guide you through this task with ease. To ensure first-class results the next time you redecorate or renovate your home, call to speak to us today and arrange your free initial consultation. Once we know what you require, we will prepare a proposal for you to consider. Redecorating your home will involve a significant investment, in terms of both time and money. With this in mind, it is crucial to get the basics right: you need to make sure that the colour schemes you choose for the various rooms in your property complement each other and suit your personal preferences too. This is not always as easy to accomplish as it sounds, owing to the fact that the colour of paint varies according to the lighting conditions under which it is viewed. However, with the help of a talented colour consultant, you can ensure that you make the right choices first time and end up with an interior décor of which you can be proud. Anita Ricci has helped hundreds of local homeowners to create beautiful interior designs in their properties and would be delighted to do the same for you. Whether you are tackling one room or your whole home, get in touch with her today to discuss your requirements. If you were to visit your local stores and look at the colour samples they have for various brands of paint, you would probably find quite a few that appeal to you. However, colours that appeal to you when viewed under fluorescent strip lighting in a shop could look very different when applied to the walls of your living room or hallway. 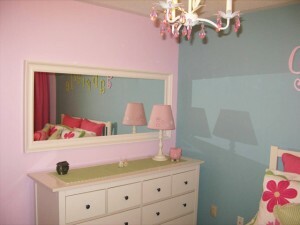 For this reason alone, it is a good idea to hire a professional consultant when tackling a major redecoration project. Your home colour consultant in Toronto will be able to help you choose tones and hues that will look good in the lighting conditions that prevail in your home and that will work well together too. What Else Can Your Consultant Do for You? In addition to accurately predicting how certain colours will look under certain lighting conditions, an experienced consultant will be able to help you build your own personal palette: a selection of colours that fit your tastes, lifestyle, and property perfectly. If you want to make sure that your home looks exactly as you would like it to after your next refurbishment/redecoration project, talk to Anita Ricci and take the guesswork out of getting the colour schemes right. As a highly experienced and talented home colour consultant in Toronto, Anita will be able to guide you through the maze of paint choices available to the modern homeowner and ensure that your new interior décor is everything you ever dreamed it could be. In order to make the most of your consultant’s skill set, you need to be completely honest about your preferences. Let Anita know which colours you have always liked and which you cannot stand, and she will be able to create a colour scheme that you fall in love with at first sight. Do not worry about the latest trends or fads: your home colour consultant in Toronto is here to help you, not to judge you. Are you looking forward to redecorating your home in the near future or are you approaching the task with a degree of trepidation, owing to the fact you are not sure what colours will work best in each area of your house? If you are in the latter camp, do not fear. Anita Ricci is a highly experienced professional colour consultant in Toronto who has worked with many local residents in the past and helped them to transform the interior of their homes. Having worked with colour throughout her career and gained respected industry qualifications along the way, you can rest assured that when it comes to choosing a colour scheme for every room in your property, Anita will be able to provide you with expert guidance at every step and ensure that the end result is a home that you will look forward to coming back to at the end of each working day. 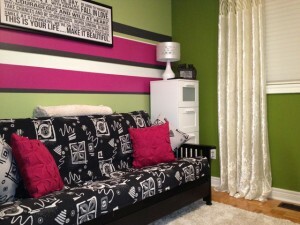 What Does a Professional Colour Consultant in Toronto Actually Do? If you have never had the pleasure of working with a colour consultant in the past, you may be wondering what exactly it is that they do. Most consultants also offer a broader range of interior design services but when you hire them to take advantage of their colour expertise, what they will do is examine each room in your home, talk to you about your own personal preferences and help you to come up with colour schemes that enhance the appearance of your home and appeal to your unique sense of style. 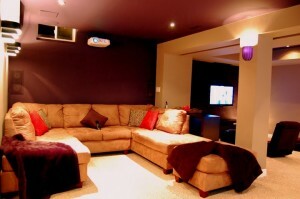 The knowledge and experience that Anita has gained during her time as a professional colour consultant in Toronto enable her to anticipate how various colours will look under different types of lighting fixtures, a talent which enables her to help clients avoid choosing combinations that look appealing in the paint store but that ultimately disappoint in the home. The primary goal of your consultant may be to ensure that the colours you choose to paint your walls will work well together and look good under the lighting fixtures you install but there are other factors he or she will need to consider as well. The soft furnishings, tables, chairs, flooring and woodwork in your home will all have to blend in well with your chosen colour scheme so must be considered at one and the same time. A talented consultant such as Anita will help you to choose the right colours for all the fixtures and fittings in your home, and ensure that when they are put together, they look as if they belong with each other. If you are still not sure whether you need to hire a professional colour consultant in Toronto to help make a success of your forthcoming redecoration project, call and speak to us today. We are always happy to answer questions about the services we provide and to help homeowners make the right decisions for their lives and their homes.